I’ve been on an emotional roller coaster lately. Lots of highs, lots of lows. Lots of transitions. Lots of stress. Lots of work. But here’s the great news. 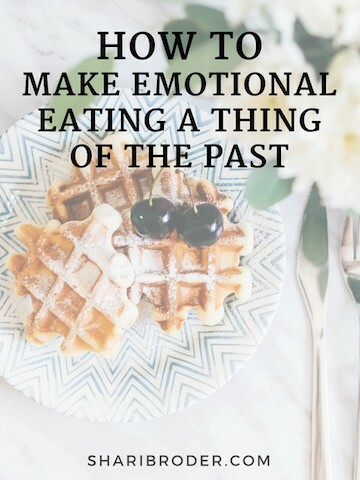 Not once have I felt like eating to avoid feeling the difficult emotions. Not once! Ten years ago, I would have eaten all kinds of things. Sweets, chocolate, crunchy stuff, leftovers. And I would have gained a bunch of weight. Like when I gained 40 pounds in four years after starting to practice law because work was very demanding and difficult. That’s how I used to roll. For pretty much my whole life until around 7 years ago. Feel difficult emotions, stuff my face to distract myself from them. Gain weight. Now I don’t even have the urge to eat to dull my feelings! Imagine that! It has not required willpower. There has been no effort on my part. You see, I haven’t even thought of eating when I wasn’t hungry during this crazy summer. It even took me a while to arrive at this realization. Ten years ago, I had no idea that this was even possible. Not in my wildest dreams. Sure, I wanted to lose weight, just like I had since I was 13 years old. 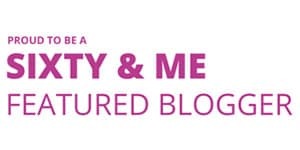 But what I didn’t realize was this—not only could I lose the excess weight without dieting, counting calories, carbs, points, or anything like that, but I could actually lose the desire to overeat! If you had told me that I would stop wanting to eat to dull my painful feelings, I would have thought that was impossible. No way! But I did it. And so can you. I’d love to teach you how! Beginning in September, I’m offering for the first time the Weight Loss for Foodies 12-week group coaching program. There, I will teach a small number of people how to break their emotional eating habit, lose weight and keep it off for good without diets or giving up the foods they love. 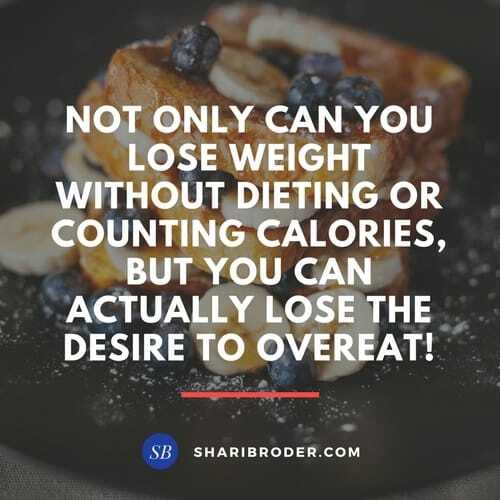 I’ve been teaching this to my private clients, who are just as amazed as I was that it really is possible to lose both the weight and the desire to overeat that causes weight gain. And now, I’m offering this to a small group at a fraction of the cost of one-to-one coaching. If you’re ready to finally make your struggles with your weight, food and eating a thing of the past forever, you won’t want to miss this! Sign up HERE to be notified of the details, and to be first in line when registration opens. No commitment necessary now, just sign up, and I’ll send you more information very soon.